Curators, Nancy Megan Corwin and Madeline Courtney, have invited me to exhibit in Uncharted, Unbound and Unexpected at Facèré Jewelry Art Gallery. The exhibition opens Wednesday 2nd May and continues through to 22nd May. In the words of the curators: we invited nine artists to surprise us, take us on a journey, make new discoveries, redefine directions, uncover new territories. I will post images of my work to my web gallery once the show is open to the public. The exhibition invitation is post below and more details are available on the Facèré Jewelry Art Gallery website, here. Last year my work was accepted into Arrowmont School of Arts and Crafts juried exhibition Nature and Neon. 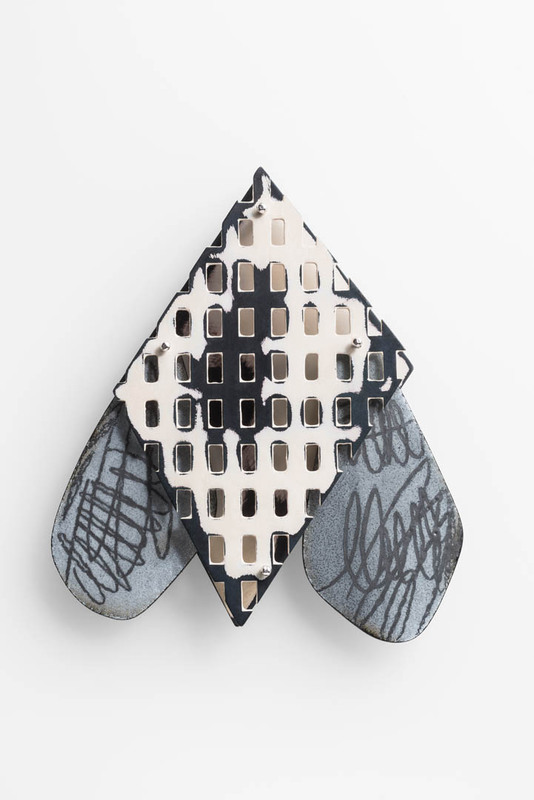 Garth Johnson, curator of ceramics at the ASU Art Museum in Tempe, Arizona, selected work by 46 artists to address the thematic concerns of the exhibition, which were exhibited in the Sandra J Blain Gallery on campus from December 16, 2017 – March 3, 2018. Here is what Arrowmont had to say about the premise of the exhibition: This year’s theme invited submissions that explore juxtapositions between the natural and the artificial worlds. Arrowmont itself is geographically located where the natural and the constructed worlds converge, and is also an environment that fosters artistic creation and education. Chosen by juror, Garth Johnson, the works selected for the exhibition consider what is natural, what is unnatural, and how the intersection of both may attempt to realize its own disparate beauty. Parts whimsical and sobering, Nature and Neon offers introspection into what these artists observe about our contemporary relationship to the landscape. My participation was represented by 3 jewellery objects that I referred to as a group named Immortal Bloom, which is posted below. To see details of the exhibition on the Arrowmont website, click here. 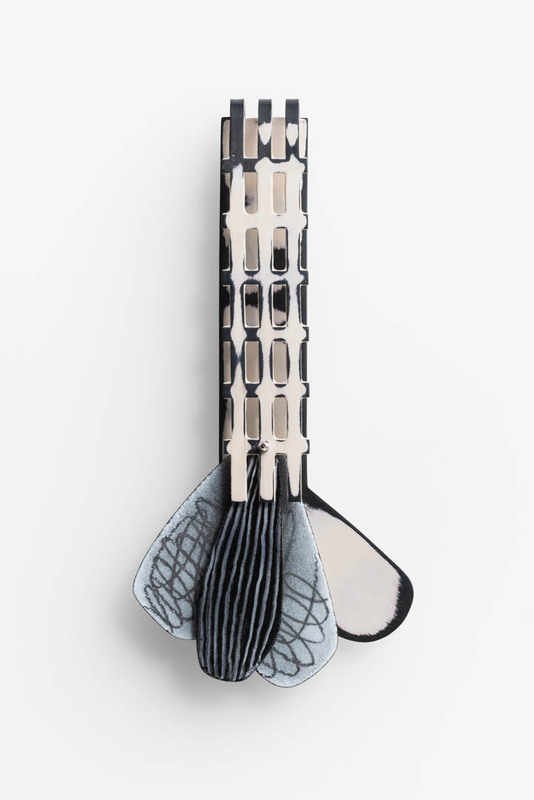 Contemporary Wearables is the name of a biennial art jewellery exhibition held in Toowoomba, Australia, every other year. Hosted by Toowoomba Regional Art Gallery, it is juried through an open-call application process and awards a winner, runner-up and student award. The gallery has also been very actively building their collection of contemporary jewellery by acquiring outstanding entries in the biennial. This years jurors were Sabine Pagan and Kevin Murray and the judge was Phill Mason. The exhibition was held from September 16 to November 5. 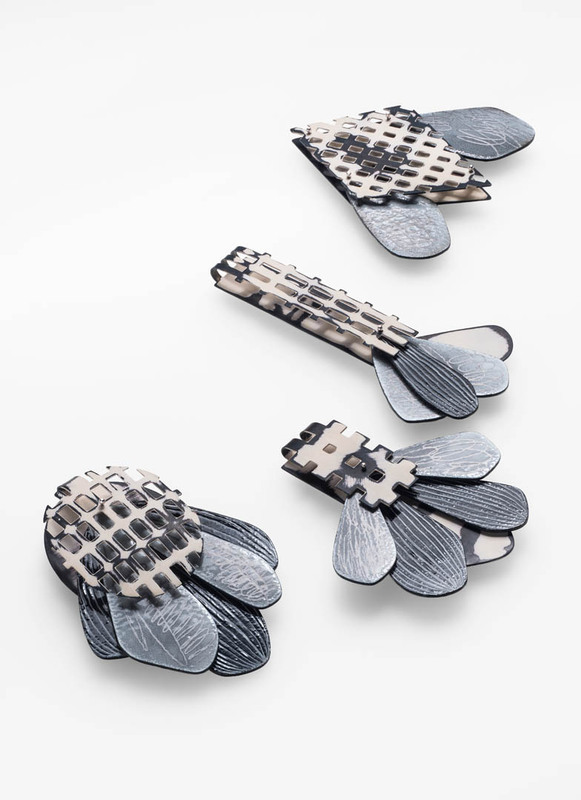 It's a landmark event for the Australian field of contemporary jewellery, gives the winning artists a sizeable cash award and attracts some of the countries finest makers. Toowoomba is only 2 hours drive east from where I grew up in Brisbane and I have had the pleasure of visiting previous iterations of the biennial so I was sad not to attend this year. However, I was fortunate to have work selected for the exhibition this year and am looking forward to seeing the catalogue with photos of all the other entries that were accepted. Congratulations to the 13 artists whose work was acquired (so many! it's fantastic) and to Luke Abbot for his winning work. 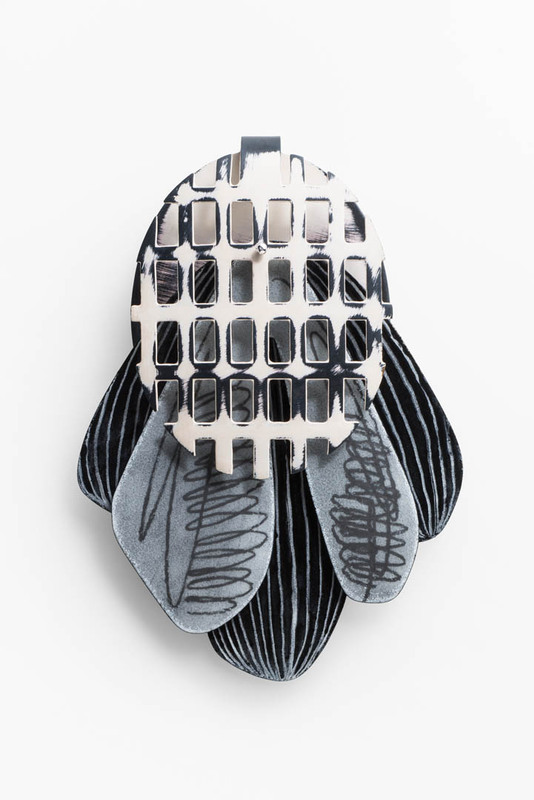 The works of mine that were exhibited are a series of brooches titled Mirror Memory. 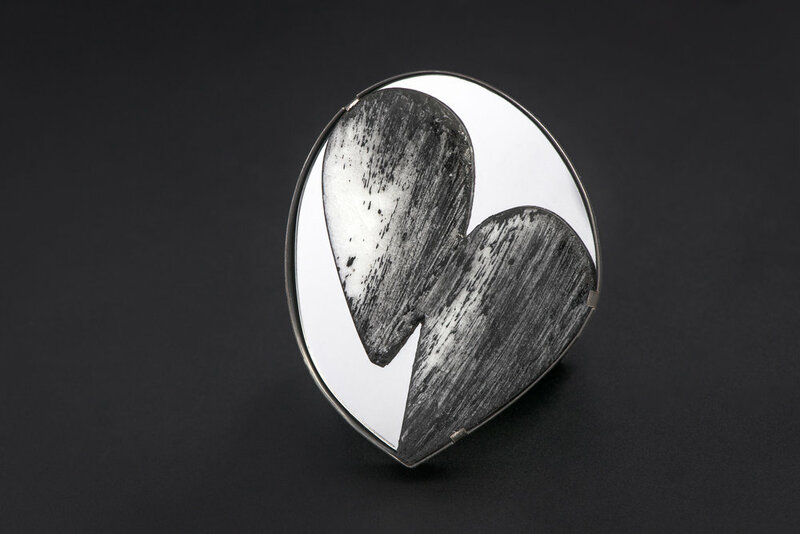 I made them early this year using sterling silver, acrylic mirror, vitreous enamel on copper and stainless steel pins. It is months since the SNAG (Society of North American Goldsmiths) Conference in New Orleans this May and I have totally neglected my website. Blog updates are overdue so I am playing catch up and posting the things I would have posted since May. The first is appropriately my report from the SNAG NOLA Conference! 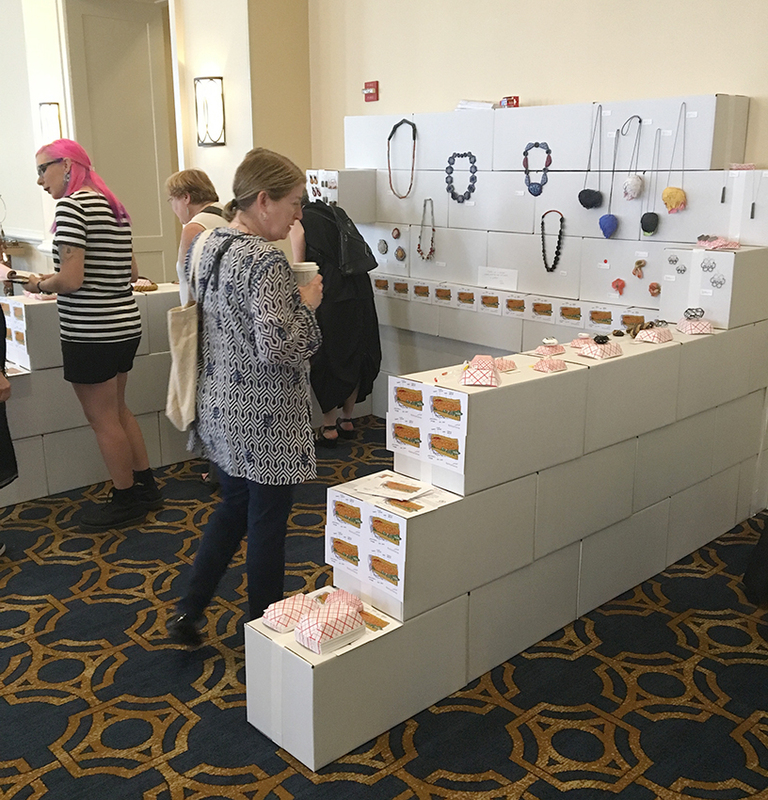 The conference (May 24-27, 2017) was overwhelming wonderful, exceeding my expectations and giving me the opportunity to connect with many people who make art jewellery or work within the field. I arrived a few hours before registration on the Wednesday to install the Bench exhibition Mark Making for Adorned Spaces. 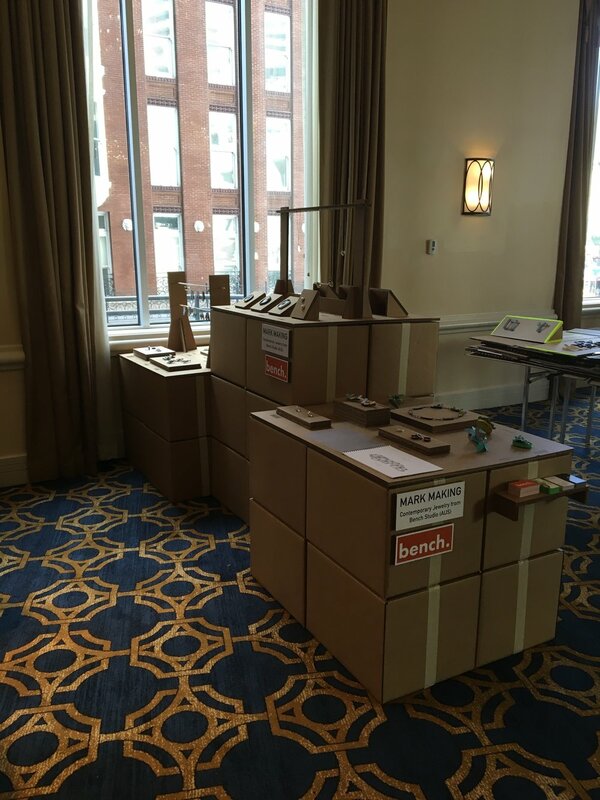 At the suggestion of the coordinators, many exhibitors built their displays using cardboard (cheap, easy to travel with and recyclable) and ours was no exception. It was a really fun suggestion and unsurprisingly, no two displays were the same. During set-up I stepped out for half an hour to meet with Bella Neyman, director of the Gallery at Reinstein|Ross in New York, for a portfolio review. Bella is so sweet and very knowledgeable and passionate about art jewellery. She gave me feedback on the work I showed her, suggested that Graduate school should only be a choice for personal growth, not a 'must-do', and impressed on me the importance of having jewellery photographed ON THE BODY. Sometimes I overlook the obvious and it was great to chat with her about these things. After thanking Bella and returning to finish the Adorned Spaces install it was time for the conference to begin! Three and half days goes so fast when they are filled with engaging lectures, great company and a full roster of exhibitions. My Queensland College of Art friends, Sam and Jac, had come to the conference from Australia and we happily soaked up everything on offer, including some great New Orleans coffee! Fellow Aussies, Melissa Cameron and Kaoru Rogers (AUS/JP) are both now based in the United States and were also at the conference. It was great to connect with both of them. 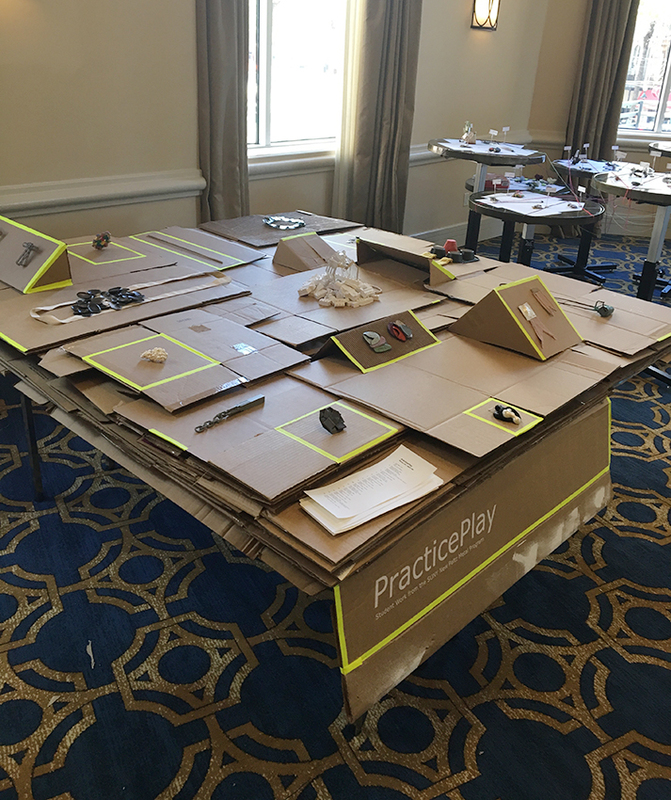 A conference is really too much for one blog post but I'll mention a few highlights. Hearing Emily Stoehrer from the Museum of Fine Arts, Boston and Bruce Pepich from the Racine Art Museum, Wisconsin talk about their work was a wonderful introduction (for me) to some of the American institutions supporting contemporary craft. I loved Marta Mattsson's lecture about her work with insects and vellum as I had been lucky to see her solo exhibition at The Thiel Gallery in Sweden the same time a year earlier. The art crawl night was also fantastic, travelling around the city on a bus to 8 exhibition venues. Duality of Presence at The Blue House and the exhibitions (and party) at Thomas Mann Gallery I/O were my favourite. The former included so many artists whose work I admire; Jessica Andersen, Lynn Batchelder, Thea Clark, Nikki Couppee, Motoko Furuhashi, Steven Gordon Holman, Alexandra Hopp, Masumi Kataoka, Joshua Kosker, Tova Lund, Sharon Massey, Jayden Moore, Wei Lah Poh, Kerianne Quick (Curator), Kaiya Rainbolt, Yumi Janairo Roth, Jina Seo, Demi Thomloudis, Jess Tolbert (Curator) - what a line up! Adorned Spaces was open from Wednesday afternoon until Friday night, when a closing function was held. The location was a ballroom at the conference venue, which might sound strange but was perfectly situated to be easily accessed during the break times throughout the conference and was large enough to house the 20! exhibitors. It was a really diverse showing of student, emerging and established makers and I was proud to be representing work from the makers of my Australian studio, Katie Stormonth, Clare Poppi, Nellie Peoples and myself. The work in the SUNY New Paltz student display next to ours was so impressive it had me captivated during all the moments I wasn't talking to the encouraging exhibition viewers. Big thanks to Lindsay Mis and Kelly Jean Conroy for jurying AND coordinating the event. I've put some photos from Adorned Spaces at the end of this post. The conference ended Saturday evening with a trunk show, which was a frenzy of sales but for me was a great way to see the work of a huge group of conference attendees that I had never seen before. A short while after the trunk show the conference was officially closed with Exhibition in Motion (a catwalk parade of large scale wearables) and an after party. 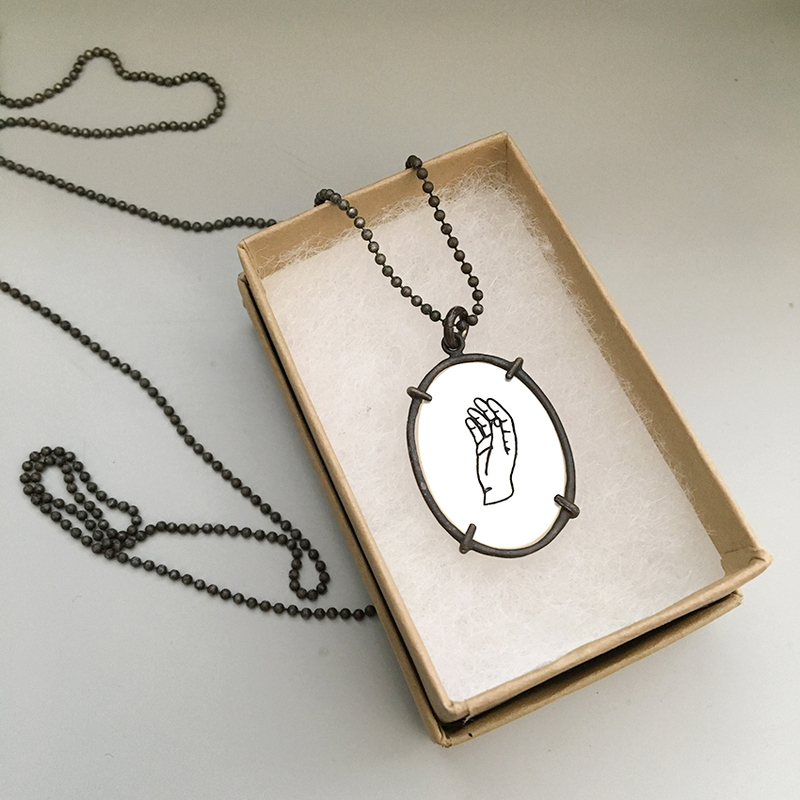 Art jewellery is so often only experienced under glass or on a screen so it was nice to finish the week in a room full of peers celebrating work on real bodies. I returned home to Alabama equal parts exhausted and energised and totally looking forward to the 2018 Conference in Portland OR. Wow, that was a big post. If you made it this far, thanks for reading!